Safety is the number one priority on any job site. Sperry Instrument's testing equipment can be put to good use ensuring that electrical equipment is properly installed and safe to operate. The condition of electrical installations can be established when contractors use test equipment. Any test unit that can be used to measure or review an application without coming in contact with a live conductor is a necessity. Testing equipment can be put to good use ensuring that electrical equipment is properly installed and safe to operate. Faulty installations can be lethal; the condition of electrical installations can be established when contractors use test equipment. 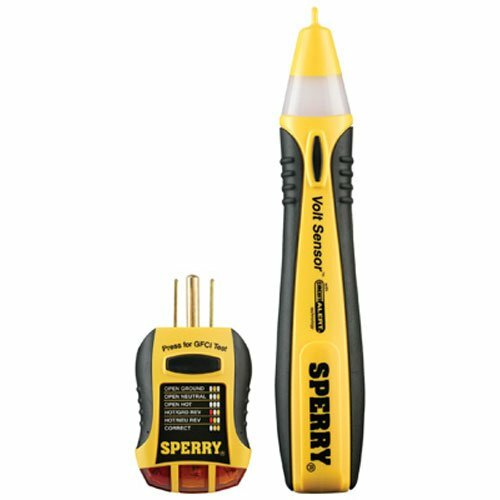 Sperry Instrument is pleased to offer an innovative full feature line of test equipment designed to make electrical work faster and safer. The electrical testers below accurately identify and capture circuit continuity and voltage measurements. These testers are ideal for any electrical professional or to have at home.